Today we are releasing an important update for the Toonia Colorbook. It features a pack of 8 new drawings. And they are not just some drawings. They are Cozy the Port-a-Cat drawings. 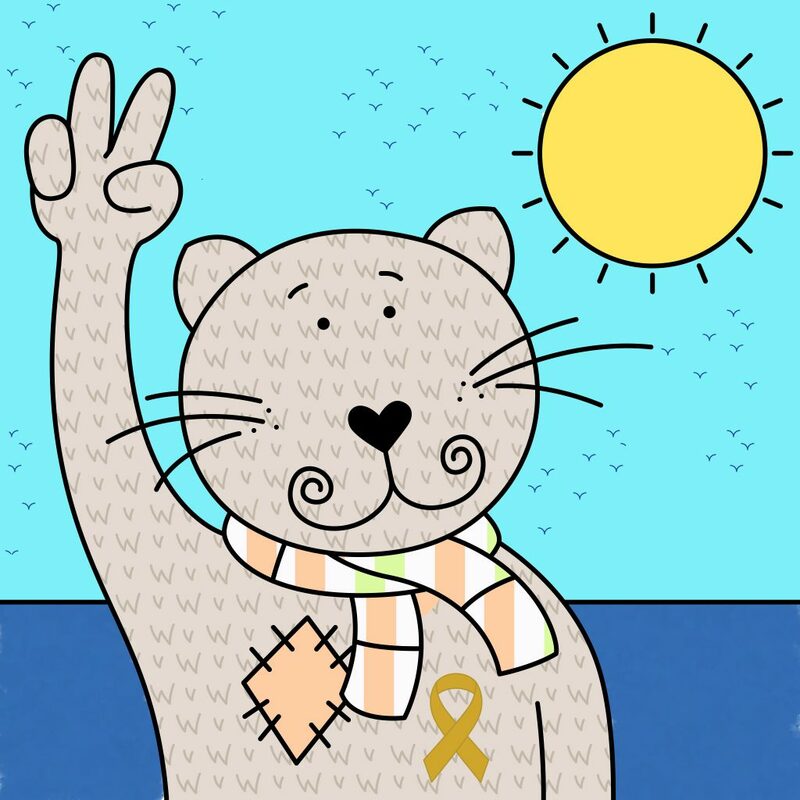 Cozy is the mascot of The American Childhood Cancer Organization (ACCO). We hope for Cozy to brighten the days that little warriors have to spend resting, and at the same time enable anyone who would like to make a donation directly to ACCO, to do so. When we first started Toonia, we felt like kids ourselves. Through the years we’ve grown up, and some of us even became parents: today there are three little Toonia boys on the team! Back then, we could only imagine how it must feel to love someone so much, and now we know how it feels. That’s why it was so easy to say “yes” to ACCO’s proposal to include Cozy the *Port-a-Cat* in our Colorbook app. We are humbled and honored to have been given the opportunity to become a part of something so noble. “We are grateful for the partnership with Toonia. With the addition of Cozy to the Colorbook, available on the App Store, we are excited at the prospect of raising much needed awareness and funds for childhood cancer,while creating the opportunity for children on treatment to color Cozy on their mobile devices,” says ACCO Executive Director Ruth Hoffman. Making Cozy part of the Toonia Colorbook is our way of helping brighten the days that littlest cancer warriors have to spend resting. Hopefully our apps, with the help of Cozy, will help distract children from the discomfort and the boredom of time spent undergoing treatment by allowing them to create their own carefree imaginary world, where worry, pain, and their other daily companions are not invited. If you like Cozy and support the ACCO in its mission to continue providing the highest quality support to youngest warriors, you can show your appreciation via the app itself. When in the Toonia Colorbook, go to the Info screen where you will find a link to a Donation website. Follow it and make a donation of your choice to ACCO. You can also do so here. Every little helps! Thank you. Oh, and if you don’t know the Toonia Colorbook yet, it is available here. Toonia Colorbook with exciting new features! Just recently our most successful app Toonia Colorbook has passed an amazing milestone. We are celebrating 2 million users! Can you imagine there are more than 2 million happy kids all over coloring with Toonia Colorbook? Our team has been overwhelmed by the awesome feedback we have received so far. But we have not been resting so here is a brand new update with some exciting features for old and new Toonia Colorbook friends. You can be even more creative with the new coloring brush. You can choose among 100+ new colors, including a very special rainbow brush. Aaaand you can color amazing dinosaurs, funky vehicles or other completely new coloring pages. And don’t feel bad if you enjoy coloring as much as your little one does. You are not alone. Toonia Colorbook is still available on App Store – for FREE. 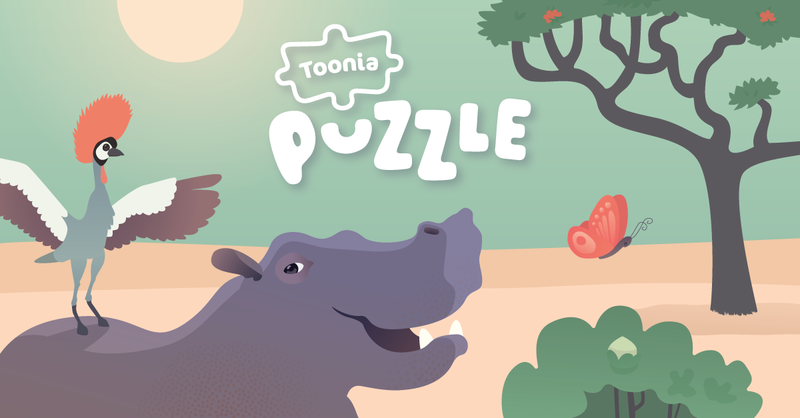 We are proud to announce that Toonia Puzzle has been awarded with 2015 Digital Ehon award in Japan. Digital Ehon awards are given to the best children’s apps. This year approximately 200 apps from 26 different countries were gathered and Toonia Puzzle was a winner of Special Prize by the Jurors. Getting the special jury prize was an extremely positive surprise. It’s exciting for a small studio of five people from Slovenia to see that even though Tokyo is half a world away, we have been brought together by this new digital dimension and our common goal to make children’s apps better. We would like to congratulate other developers and we are looking forward to be a part next year as well. You can read more about the Ehon awards and winners here.